Early mornings and late night hours is the usual day to day life of many. Traffic and pollution is our daily battle which is one of the cause of breakout and stress. One way I find to pamper myself is to use facial mask every time I feel like my face already looks tired and stress out. Here comes Beautyfix Peel Off Mask in Oil Control & Detoxify. I bought this is Watsons, it comes in 2 variants: Whitening and Oil Control. I intend to use the first one, but my sister said I am experiencing a bad breakout and this can be of good help. Before when buying beauty products I always get the whitening variant and I give the anti-acne one to my sister. I think the world turned upside down because we switched places. Her skin looks better now (she is stuck at home btw) and well me, I experience occasional bad breakouts every now and then (yes blame it to pollution and stress). Beautyfix Peel-Off Mask controls oil and detoxifies skin, removing dead skin, clearing up deep-seated dirt and other impurities. Loaded with vitamins and active ingredients that will restore the elasticity of skin and combats acne leaving skin glowing and healthy. Suitable for all types of skin. I am really fascinated with black facial masks, white masks are well umm ordinary. With black masks you can easily if there are white heads being peeled with it etc. making it look really effective IMO. As you can see this is enlosed in a simple yet kawaii packaging. There is no information regarding the manufacturer though, only the distributor details are on the back. Sachets is good if you feel thrifty and you don't want to waste unused face mask in a tub or tube this is a good way to go. This is also perfect for travel. So it contains charcoal powder which is explains why the color is black, it is known to absorb oil and impurities as well as a good way to detoxify skin. It also contains ascorbic acid which is known to lighten skin. So do not follow what I did, girls make sure you wash your face with warm water before applying the product. I suppose it makes a big difference. I applied the product on my face, it feels cool and refreshing. The scent is light and not over powering. After a few minutes when the product started to dry up I felt like my forehead is too tight. I had a headache and I badly want to peel it off. The max I have managed to leave it on my face is 15 minutes. At first I thought Beautyfix Peel Off Mask will peel off easily like the iWhite cream masks I've tried before. I was surprised to know that it will not be an easy task to remove it from my face because it hurts like crazy. If you want to get rid of your facial hairs this is the way to go. Hahaha. I accidentally applied on my eyebrow and I needed to wash the brow part with water to melt away the product. I don't want to peel off my eyebrow. Yikes. Taking off the mask took some time, victory is mine after all the minute of struggle. Haha. So what did I noticed afterwards? No more oiliness, face was quite matte and flawless to touch. The dry patches of skin was also removed, my face looks brighter than before using it. A few white heads were also included in the removal. Because its detoxifying it can be your perfect weekend face mask. 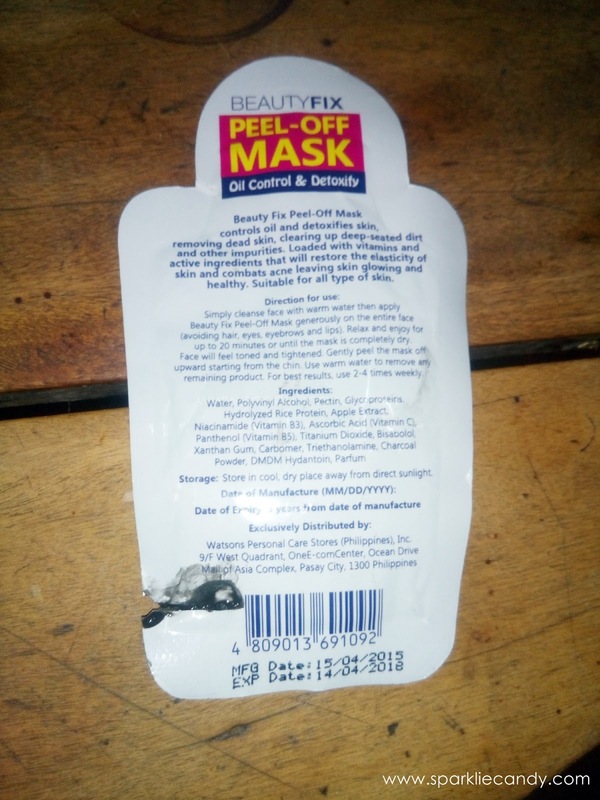 One pack is enough for the whole face, try to spread evenly to easily peel off the mask afterwards. Right now no. I've tried this mask so I can try if its good, but I find that Mint Julep gives me the same result as Beautyfix Peel Off Mask. 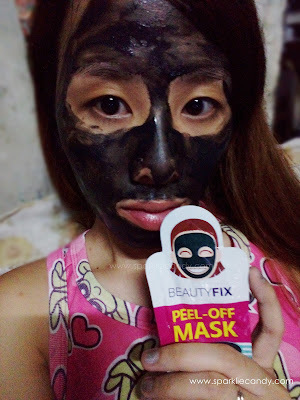 Beautyfix Peel Off Mask in Oil Control & Detoxify is a good facial mask to try if you would like to detoxify your skin after a long tiring week. 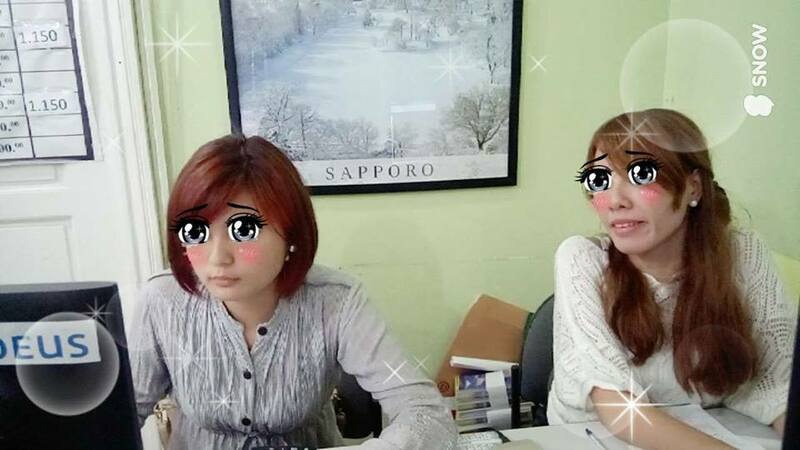 Hi to my friend Tin Tin, workmates playing with Snow App! Great review! But I wanna ask, do I need to rinse my face with cold water after removing all traces of this mask? If necessary. Rinse it if has remaining patches by the facial mask. Just warm water. No need to refrigerate some water. Hello there! Ive tried this product twice and it's really great. What I did after removing the peel was to wash it with cold water and applied a moisturizer. It actually works great on me.